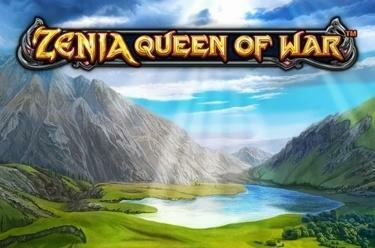 Play Zenia Queen of War™ online for free now! Even if the rolling green hills seem peaceful: With Zenia Queen of War™ an iron sword decides on victory or defeat. Lion and Minotaur go into battle with you. Your mission is to capture Twists! But don't worry you have an experienced warrior by your side: Our Queen of War is the game joker, who leads you into profitable realms and gets you a triumphant jackpot with some luck! Your aim: Capture as many Twists as possible by landing 5 identical symbols from left to right along 50 win lines without interruption. If 3 shields (Scatter) land in any position on the 2nd, 3rd and 4th reel you have won 12 free games. You will play with your settings from the last regular game and you can win 12 additional free spins with 3 further shields. 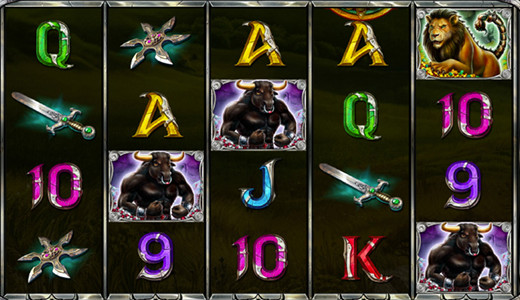 If the Queen of War appears 20x and occupies all reel positions you will be the glorious victor and you will be awarded one of 2 progressive jackpots (Queen jackpot in the regular game, War jackpot in the free game). Both pay out 100% if you play with maximum stakes or less if the stakes are lower.